There are two industries that thrive only when they can realize cost savings by providing more convenience to customers: the airline and cruise line industries. Reducing weight, maximizing storage, and providing luxury amenities all benefit their bottom lines. Which makes it a mystery all the more that the air and cruise line industries don’t demand high quality wines in alternative packaging. 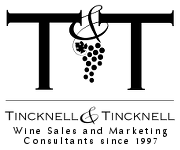 Hopefully, with growing awareness by both industry buyers and the wine industry of alternative wine packaging the two travel industries will begin doing so. “Spirit likes the cans because they are easier to stack and store on airplanes with limited storage space. They also weigh less and airlines are obsessed with making their planes lighter to save on fuel. The wine is made by Friends Fun Wine, also based in Florida. The wine will be low alcohol (6%), and is targeted towards the casual, sweet, flavored wine drinkers with selections like White Moscato and Strawberry Moscato. Air and cruise lines could save even more, and provide more mainstream and higher quality wines with other alternative packaging, such as bag-in-boxes, rigid pouches, flexible single-serve pouches, plastic single-serve cups (like Copa di Vino), and plastic PET bottles. 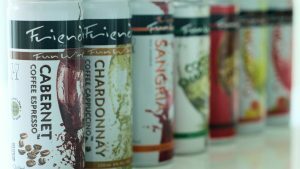 All cut down on weight, provide more convenience and ease in serving, and – like the can – offer varying price points, wines, and qualities, from value/economy to super-premium priced wines.